The left brain and right brain merge seamlessly to create Bill Millonig, former East math teacher and current artist. 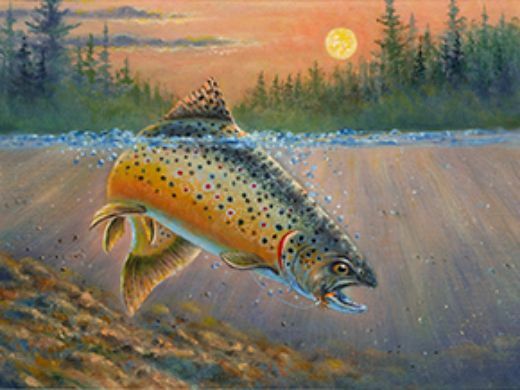 In August, a painting by Millonig was chosen as the winning trout stamp for 2017. The Wisconsin Department of Natural Resources holds yearly contests for the stamps, which residents must purchase to hunt or fish the particular species. Millonig has designed nine total stamps, including four trout, two turkey, and one each for pheasant, salmon, and duck. Now retired from teaching, Millonig cannot remember a time in his life without drawing and painting. His mother nurtured this love for art. She took the time to learn about and create art even during the Great Depression. Painting by Bill Millonig. Click to enlarge. “She was very artistic and got me started at a young age. I was very lucky to have that,” he said. Millonig’s father, a hunter and fisherman, also had an influence on Millonig’s art. For Millonig, practice, patience, and persistence (the Three P’s) are the key to improving as an artist. Millonig taught at West Bend East High School for 27 years, from 1980 to 2007. Over the course of his career, he taught general math, math score, algebra, geometry, advanced algebra, statistics, and biology. “I enjoyed being a teacher and during my summers I would paint and then do art shows,” he said. 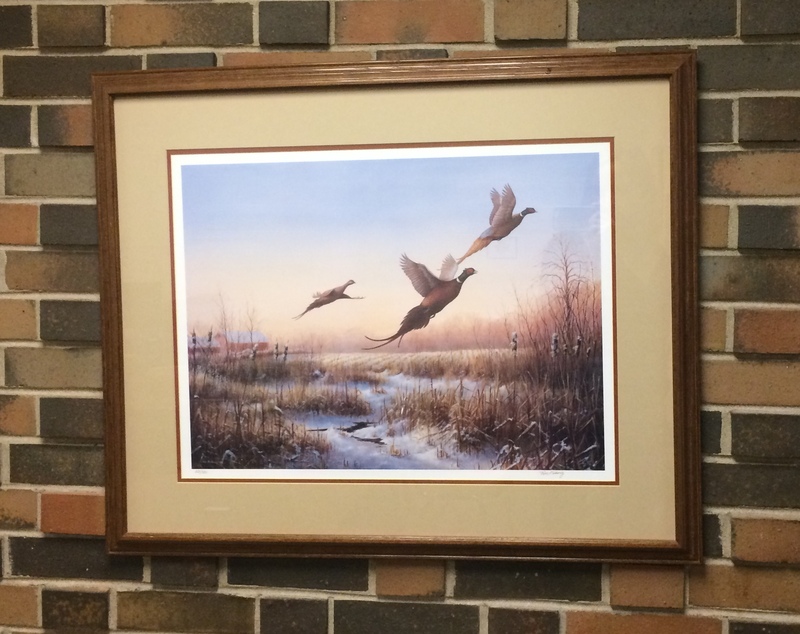 When Millonig retired after 33 total years of teaching, he donated two art pieces to the teachers’ lounge. 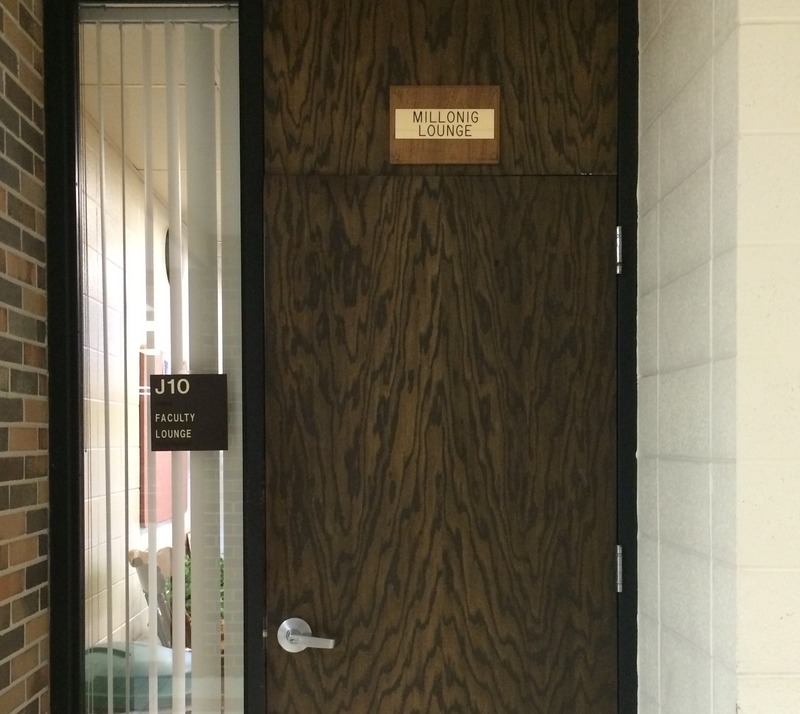 Then Mary Skalecki, East principal at that time, dedicated the lounge to him. There’s still a plate above the door declaring it the Millonig Lounge. The Millonig Lounge. Click to enlarge. Brahm recalled how Millonig liked hiding things on people and photo-shopping somebody’s head on the figure and then putting the sign up on the wall. But Millonig’s pranks did not come without friendly backlash. “[Millonig is a] very intelligent man. He had a great heart, very thoughtful person, very calm person, but he had this sense of humor that really made working with him enjoyable,” Breuer said. 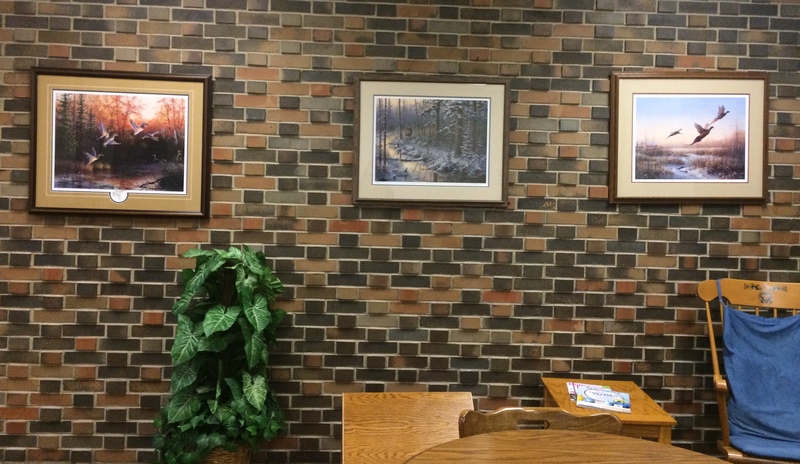 Three paintings by Bill Millonig hang in the East teachers’ lounge.